Poster Display types include Poster Frames, Counter Displays, Hanging Displays, ... Wall Displays, Hanging Displays, Window Displays and Clip In press frame. Custom sizes... How to use... Using optional ceiling hooks or pole pockets for banners & posters, you can adjust your window displays easily matched to the visual merchandizing theme this period. Hanging displays like these posters for window displays are light, resuable and more visible. Perfect for mall stores that change over their graphic presentations frequently, no props are needed for window dressing and the background banner theming can also include large messages such as SALE. You can hang down a tower or from metal frames, picture hooks or suction cups. The benefits of using a fabric banner is that it can be hung nicely, wont tear or crease, can be reused and washed and folded in the back storeroom for next purpose. Your realizations are quick, simple and themed. If you use sites that offer stock photography it becomes even easier to promote your shop or business window display. Decorative pictures, large sale messaging, offers, features, season releases and much more are cheaply displayed using fabric. Advertising agents love the marketing flexibility and ease of ship out for their systems, hangers and frames. A store manager can quickly implement the banners in the window for that promo's visual identity. 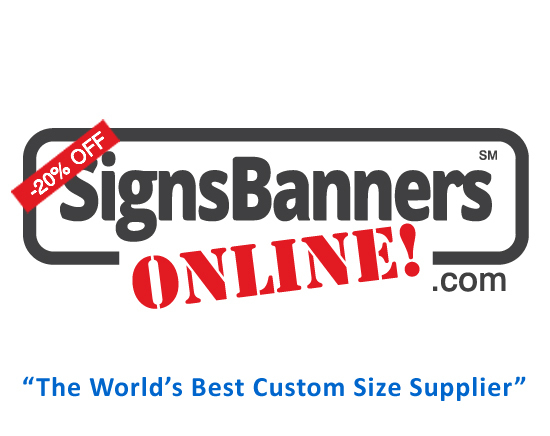 A quick and cheap way of professionally showing your store... use a window poster banner.